Baa Baa ‘Blackface’ sheep, have you any wool? 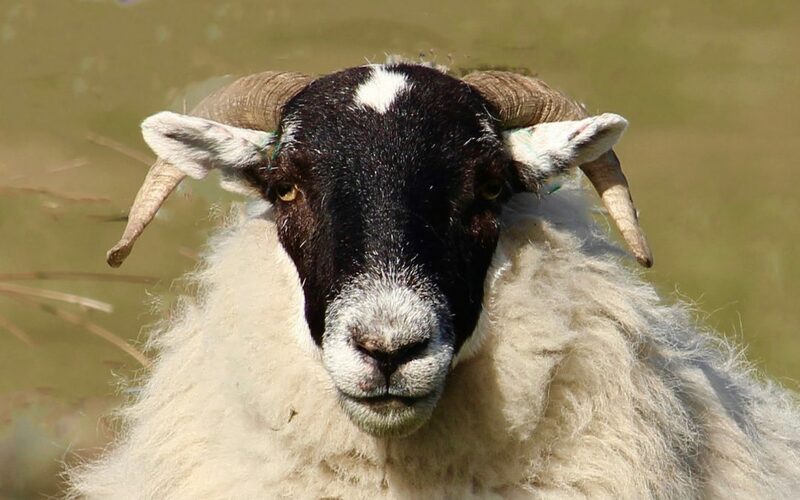 Scottish Blackface sheep, account for about a third of the UK’s sheep population. They are a tough and adaptable breed and well suited to bare landscapes and harsh conditions. It comes as no surprise then, that these mammals are native to the barren, rocky isles of the Hebrides. Traditionally, Harris Tweed would have been made solely from the wool of this malleable breed; however, (due to today’s demand for softer and thinner fabrics) Blackface wool makes-up for only a small percentage of the total yarn produced. The rest of the yarn comes from wool of crossbreeds and Cheviot sheep from the Scottish Borders. These sheep are not as exposed to such harsh weather conditions and so their wool is much softer and longer in length. It is this special mix of wool types that provides the correct ingredients for the distinctive fabric that is…Harris Tweed. We launched our new website! Wool Week just got Woolier! © Blackhouse (Scotland) Ltd 2018 I Blackhouse (Scotland) Ltd is registered in Scotland SC523446. | 5 Middleton Park, Keltybridge, Kinross-Shire. KY4 0GZ. SCOTLAND.